Alvar Aalto’s iconic Stool 60 is the most elemental of furniture pieces, equally suitable as a seat, a table, storage unit, or display surface. The legs are mounted directly to the underside of the round seat without the need for complicated connecting elements. Thanks to its geometry, the stool can be stacked to save space in a spiralling tower sculpture. 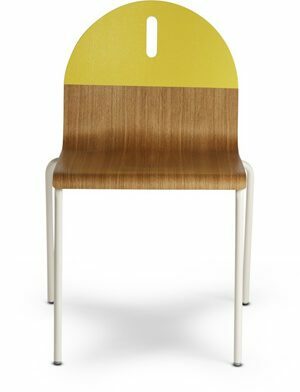 Manufactured in 42 production steps at the A-Factory in Turku, Finland, Stool 60 is available in a wide variety of colours and finishes. Several million units of Stool 60 and its four-legged cousin, Stool E60, have been sold, making it one of the most cherished products in the history of design.